Strategically located in Kuala Lumpur, the 351-room Sunway Velocity Hotel offers a wealth of amenities such as a 24-hour fitness centre, a rooftop infinity swimming pool that oversees the panoramic views of the city and a well-equipped boardroom which can accommodate up to 12 persons. Guests can also look forward to enjoying delectable light snacks such as New York Cheese and Almond Tiramisu cakes as well as freshly-brewed coffee and tea at Kaffeinate, an all-day express cafe catered for dine-ins and takeaways. The hotel is also adjacent to Sunway Velocity Mall, providing the guests with the convenience of shopping within close proximity. Whereas you can find varieties of foods in the mall and around the hotel itself, there are few other hidden eating spots worth exploring near Sunway Velocity Hotel. Keep reading below as we round up six recommended food places ranging from satay to curry fish head. Looking for some good satay near Sunway Velocity Hotel? Then, you might want to head on to Dzul Satay at Jalan Peel. It is just a few minutes of walking distances where the adjacent satay stalls located between the NSK Trade City and SMK (Sekolah Menengah) Convent Peel Road. They are particularly well-known for their beef (daging) satay, even though their chicken variety isn’t a slouch either. What you get here is a fat, plump and juicy satay — all marinated to flavourful perfection. The satay goes well with their spicy peanut sauce that thankfully isn’t too watery or too thick. Each plate comes with a side dish of sliced red onions and cucumbers but you can always opt for an additional nasi impit (compressed rice). Don’t forget to cool it off with a glass of teh o ais limau (ice lemon tea). Other than satay, you can also order their nasi lemak or fried kuey teow. Originated from Pekan Rabu, Alor Setar, Nasi Lemak Royale Kedah has already made its mark in the Klang Valley area. One of them is in Cheras or more specifically, located opposite Petronas Jalan Cochrane. But here’s the thing about their Kedah-style of nasi lemak: it isn’t technically the same nasi lemak that most of us familiar with. 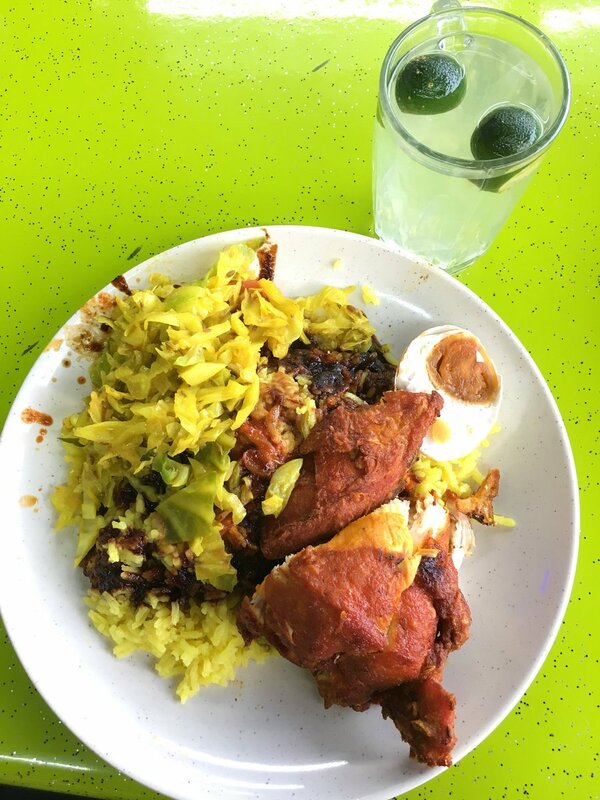 Instead, their famous Nasi Lemak Royale is actually a nasi kandar served with spicy or fried dishes such as sotong and chicken. What is particularly unique here is their nasi minyak-like rice that comes in yellowish colour. Most of us have grown accustomed to enjoying traditional satay typically made from marinated meat chunks like chicken, beef and mutton. Then, there’s satay tulang — another type of bamboo-skewered meat which is exactly what it sounds like: a satay made from a seasoned meat chunk (specifically, chicken) that comes with the bone. This is a speciality where you can find at Satay Tulang Cochrane, located opposite Petronas Jalan Cochrane. You can also find the usual satay that comes with a choice of chicken, beef or mutton. Zulina is yet another food stall located opposite Petronas Jalan Cochrane. 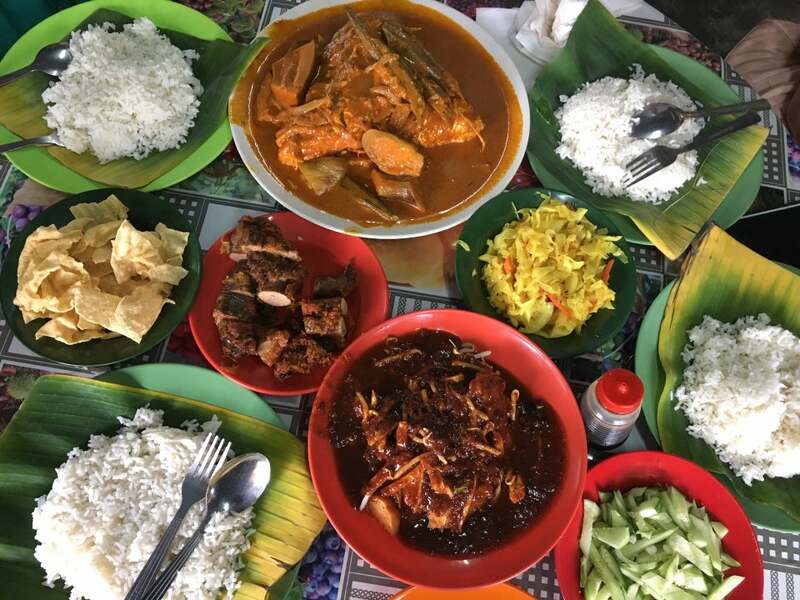 They specialise in serving northern-style nasi kandar dishes but it was their signature kari kepala ikan (fish head curry), which gained them a loyal following. The fish head curry is made fresh every day and keep in mind that it typically sold out by lunchtime. If you are looking for a variety of foods under one roof, Malindo’s Cafe has them all. They have everything from nasi lemak and ikan bakar (grilled fish) to asam pedas and ayam penyet (smashed chicken). Pancake lovers can look forward to their wide range of pancake varieties, with delicious fillings like peanut butter, chocolate and cheese. A little too conventional? Then, you may want to try their signature “Pancake Pizza” which comes with a set of mushroom soup and two slices of bread. Here is another cafe near Petronas Jalan Cochrane that is worth checking out. And best of all, it opens 24/7! You will find lots of food varieties here, namely fried rice, bakso (Indonesian meatball), nasi ayam penyet and tom yum. Not to mention their overall prices are known to be affordable that fits every budget. On top of that, Sunway Velocity Hotel is currently running a special promotion. Enjoy discounted rates as well as other rewards when you choose to book direct with them. Find out more by clicking the link over here.